The resort has three open swimming pools and well maintained and beautiful surroundings. 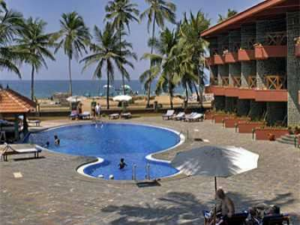 UdaySamudra has its own exclusive beach for guests. The large reception and lounge area, vast enough to take a walk inside, is a meeting place for guests from all over the world. It has a de-stressing and relaxing ambience. Live music at dinnertime makes you feel as though you are in a concert hall or theatre where food is also being served. 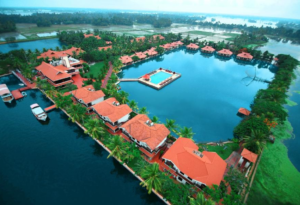 The resort has an Ayurvedic wellness spa, beautiful parlour and a dental service. While staying at Mascot we also attended a conference in the city and took part in a book launch held at Mascotwhere the Vice President of India also was present. Its strategic and central location in the heart of the city with easy access to the airport and the railway station will appeal to business persons who look for extra luxury and comfort. Their highly trained, friendly and caring staffs are another prized asset for business and pleasure travellers from all over the world. We found the prompt and professional buffet is delicious and varied with infinite options. 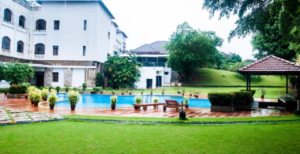 We found its spacious lounges and vast gardens captivating and relaxing. 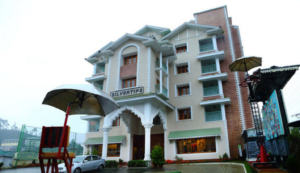 Silver Tips, situated in the very heart of the city of Munnar, stands out like a castle purpose- built for those staying inMunnarcity centre for everything within easy reach.However, once you step inside this uniquely designed mega hotel with five floors,you feel as if you were in the mini but modern version of Edinburgh Castle. In fact this was a cinema theatre that served the British during their time when they owned farmed and ruled over our lands though not our people as we had our own benevolent Kings to rule us. Although the building was restructured in 2009 to turn it into the quality hotel that is Silver Tips, its interior has more than kept its cinematic image though not its actual use by artistically and creatively redesigning so that it has a mind-massaging effect on visitors. Silver Tips serves as a live exhibit of a continuing 2000 year old Southern Indian culture and its social and economic transformation over the years. This is portrayed by the different popular but successive Bollywood cinemas. 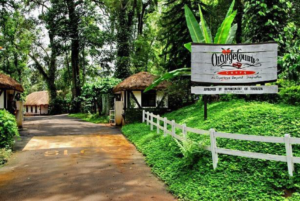 During our stay we found guests from various parts of the world content and cheerful for landing at the right location with the romantic and uplifting ambience dominated by the stunning Munnar tea estate hills. Silver Tips has an activity room for youngsters, gym for the mature,Ayurveda centre for seniors and others and a mini theatre for those with an artistic and romantic mind-set enabling them to watch classic films from the past. It goes without saying that the spacious rooms are most comfortable. This hotel has a genial and friendly General Manager whose years abroad have given him the insight to anticipate the needs of guests from abroad and the psychological understanding that make him a true friend, guide and philosopher to people of diverse cultural backgrounds.I found the multilingual, caring, courteous and prompt staff a great benefit to guests. 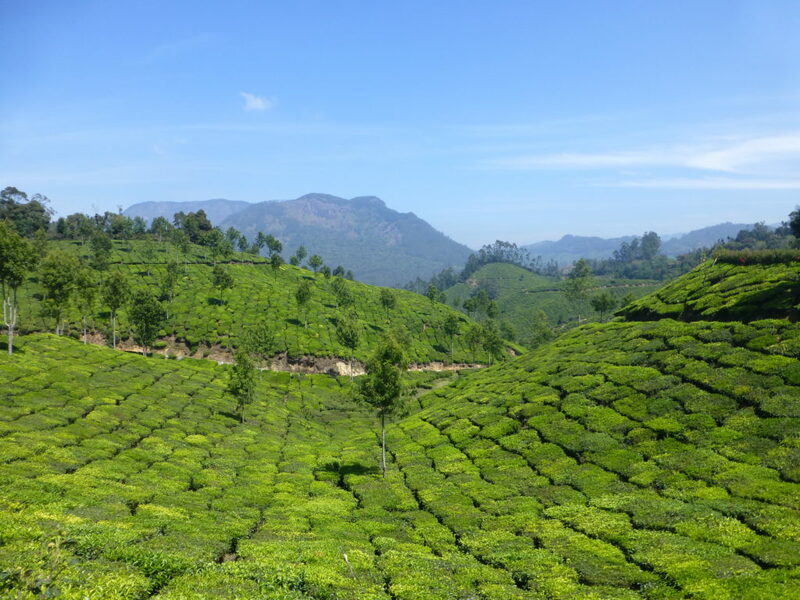 Tea County was a marvellous and rejuvenating experience, Munnar Hills with their clean air and breathtaking views of hills and valleys surrounded by the stunning and most refreshing vista of the tea estates has a mesmerising and, so to say, intoxicating effect on visitors. This resort is very unique in many respects. It occupies a vast area and it makes you feel as if the whole resort is at your disposal not just the cottage/room you have been allocated. This certainly is a Palace on the hills that makes you feel that you own the hills and the valleys beneath and around you. 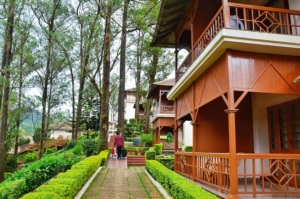 Tea County has plenty of space to walk around within the resort and you can also hire a taxi to be driven around the hills that make up the tea estates in the area. 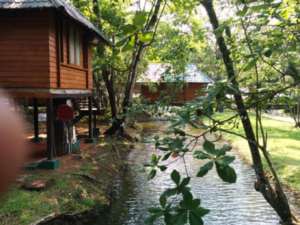 This resort is more like a resort designed in heaven, built by the KTDC and manned by very helpful staff who are very skilled, experienced and determined to provide their guests the most relaxing holidays. with all the comforts you can think of including the most delicious and varied cousin. Staff are well-trained, experienced, committed, prompt and efficient under the dynamic leadership of its unassuming but charismatic manger who leads from the front making himself always visible and available. 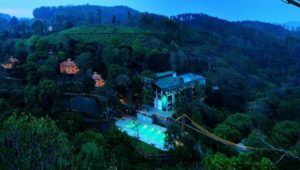 I also found other guests equally, happy, content and relaxed, Ayurvedic Spa is an added option of extra luxury at Tea County. 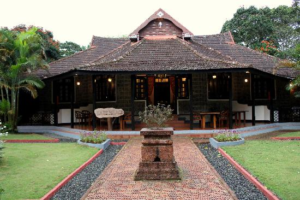 Finally I must confess that myself being a Keralite I felt so proud that we are capable of building, maintaining and managing such resorts projecting the best of hospitality and providing pleasure and relaxation to those who visit the region for holidays. Lake Palace Resort is perhaps the ultimate in relaxation -relax by just being there and doing nothing. 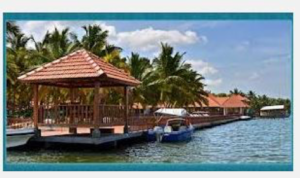 The resort is surrounded by water-a vast and meticulously designed resort with an exquisite landscape, speed boating facilities and marvellous sunsets in sight in the evenings. Rooms are very modern and spacious. Staff are extremely capable committed and caring. Lake Palace is spotlessly clean not only inside but also outside with well designed gardens, plants and swimming pools. Food provided is varied, diverse and delicious. I wholeheartedly recommend this resort for all at all seasons-ayurveda is also available for those who need it. I recently spent 2 days at the Estuary Island Resort . Its location, scenic beauty and calming ambiance make such an impact on you- one really needs to experience to understand it. The 10 minute boat journey to reach the resort in itself is most thrilling and romantic especially if you are not anticipating it. Time at the resort passes so easily and so fast whether you are taking a walk in the compound, having a boat ride at sunset or being in the pool or even looking out into the sea. Bedrooms have every comfort one can think of and rooms with sea views are fantastic. Restaurant buffet with its rich and varied menu and facing the sea is not to be missed. In short my stay at the resort was one of the finest and memorable experiences.